Heat oven to 450°F. 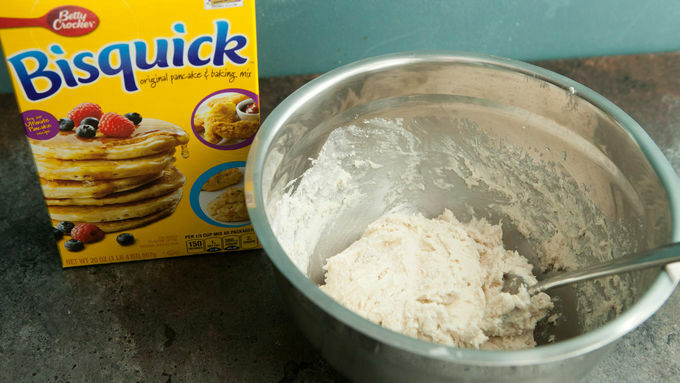 Add Bisquick™ and 2/3 cup milk to a medium bowl and stir to combine. Scoop dough out onto a floured surface and fold a few times. Then roll out dough on a lightly floured surface and use a 2 1/2-inch cutter to cut out the biscuits. 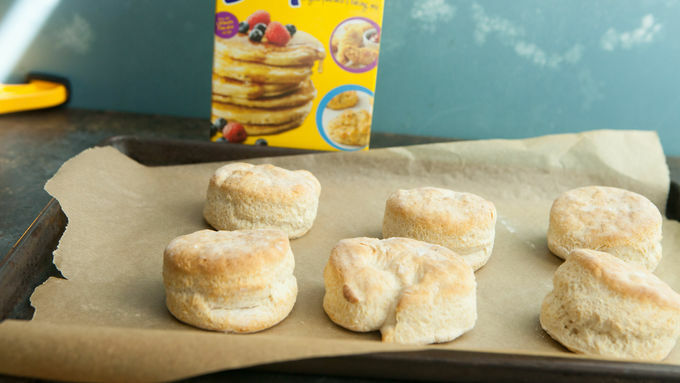 You may have to re-roll the dough to get a full six biscuits. 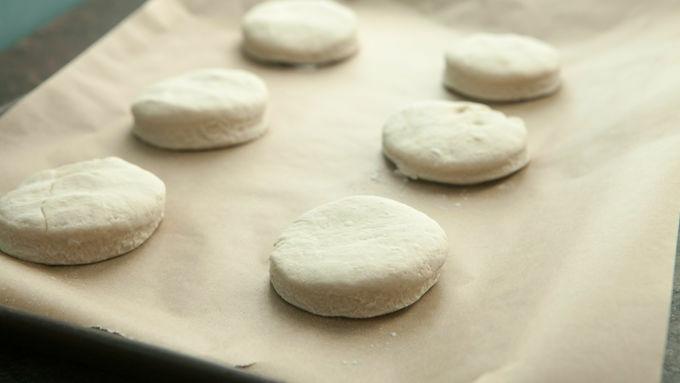 Transfer biscuits to a baking sheet lined with parchment paper and bake for 9 to 10 minutes until the biscuits are puffed and browned. Remove the biscuits from the oven. Reduce oven temperature to 350°F and lightly grease six muffin tins with vegetable oil. Add sausage to a nonstick skillet over medium heat. Cook for 5 to 6 minutes, breaking up the sausage as it cooks, until the sausage is cooked through and lightly browned. Meanwhile, whisk together the eggs with 1/4 cup milk. 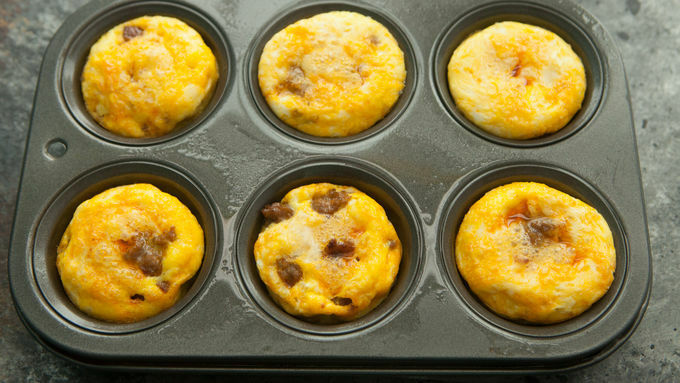 Divide sausage between prepared muffin tins and fill with the egg mixture. Bake the muffin tins for 15 to 18 minutes at 350°F. The eggs should be set in the center and slightly pulling away from the sides of the muffin tins. When you’re ready to make a sandwich, split open the biscuits and sprinkle cheddar on the open halves. Return biscuits to the oven for a minute to melt cheese. Then top with an egg cup. Serve immediately or wrap in foil for a sandwich on the go! Breakfast sandwiches are one of my favorite ways to start the day, but I don’t love the fast food versions. Most days I find I can get the job done at home. I particularly like recipes like this that have a nice twist on the classic. In this case, spicy sausage! The finished sandwich has a nice little kick to it that pairs perfectly with the cheddar and biscuit. To assemble one of these delicious sandwiches, break open a biscuit and sprinkle on some cheese. Then return them to the oven to melt the cheese for a minute. Then pop on the egg and chow down! The good news about this recipe is that it’s easy to make in advance. The eggs reheat beautifully, even in the microwave for a minute. 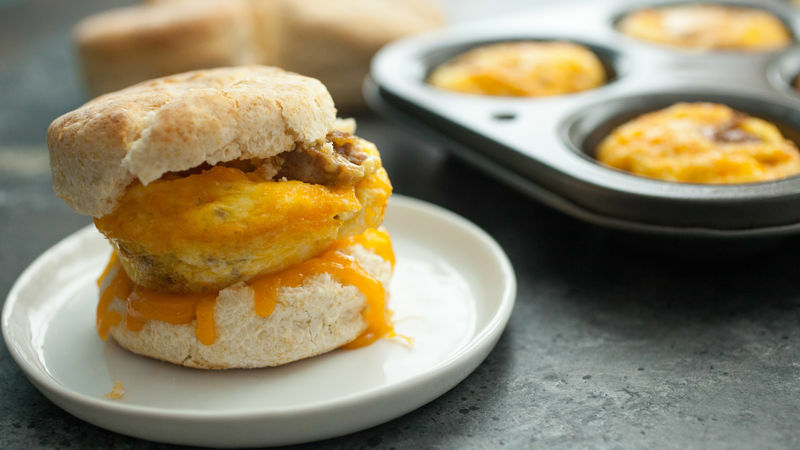 So even if you’re in a rush, making these spicy egg biscuits is a great way to start the day!